Ribbon Music have announced the new full-length album from Black Dice, ‘Mr. Impossible’, to be released (LP/ CD/digi) on April 10 in the U.S. and on April 9 worldwide. For over 15 years, the highly influential Black Dice have continuously reinvented and mutated punk music into new sonic stews. 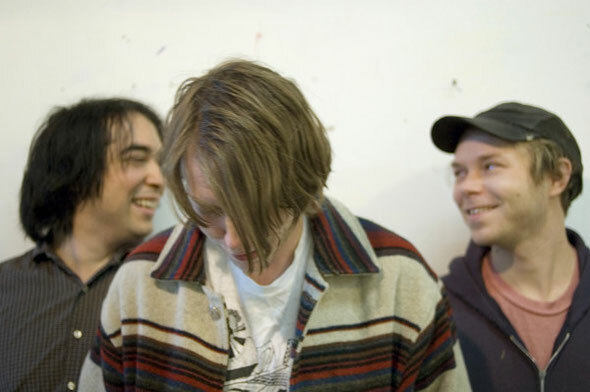 The New York based trio of Eric Copeland, Bjorn Copeland, and Aaron Warren have released scores of albums, EPs and singles on iconic labels (Gravity, 31g,Troubleman, DFA, Paw Tracks), that document their musical travels, from raw brutal thrash to inside-out pop anthems from way out. 2012’s ‘Mr. 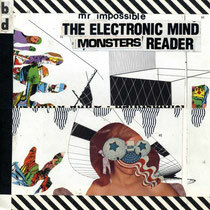 Impossible’ is the band’s sixth full length, and their first release on Ribbon Music. It explores the uncommon ground between The Seeds punk primitivism, extra-terrestrial throbbing of Funkadelic, and discordant rebelliousness of Royal Trux. The record is informed by countless live performances the group has done worldwide, over its long lifetime. Band highlights from past eras were re-germinated, and grew into a new mutation called Mr. Impossible.